Monty’s inventions don’t always work. His walking toaster ran away. His robot went berserk! Then he finds a guide to making monsters strange and rare. 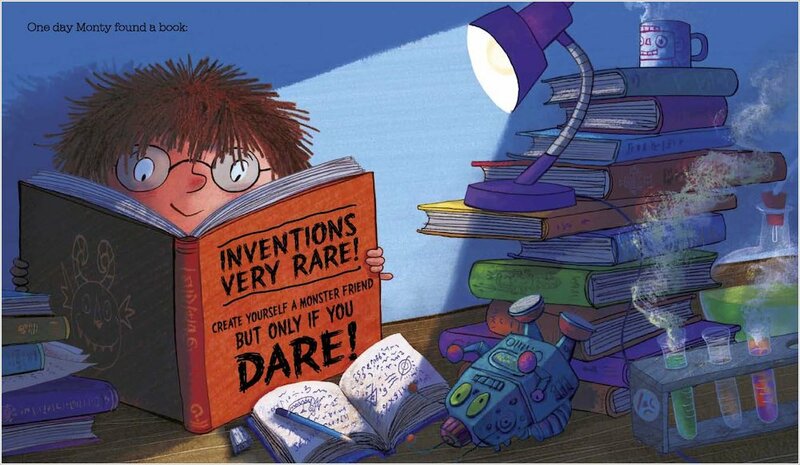 Read on only if you dare! 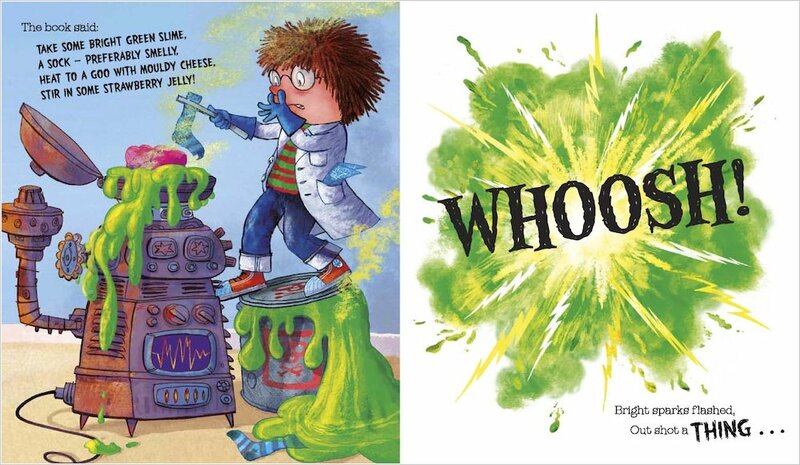 Chuckle as Monty tosses together all sorts of weird and wonderful things – green slime, mouldy cheese, fruity jelly – to create a slimy Bogablob and a mucky Dust Monster. But you’re about to meet a monster even scarier than this. It’s hairy, ugly, stinky – and it wants a KISS! 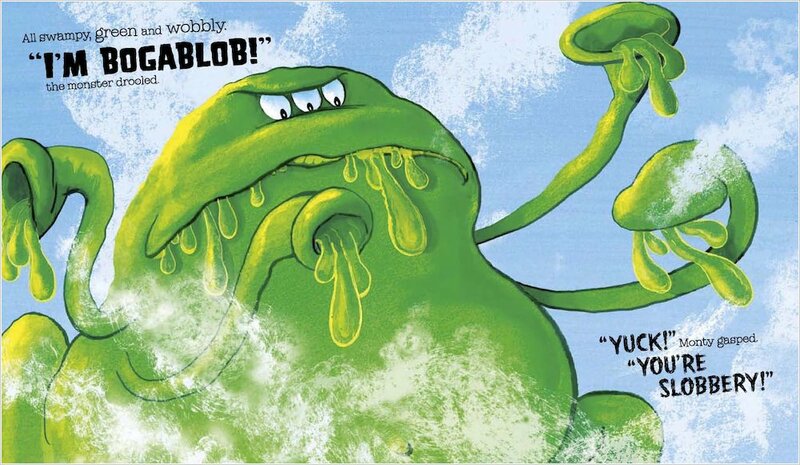 This rollicking riot from the creators of Aliens Love Underpants is a monstrously funny delight! Cut out this mask, stick it to card. Then colour it in and ROAR out loud! This dust monster is a little bit boring. Get scribbling to get him roaring! Monty’s looking pale and bland. Get colouring to lend a hand! This Bogablob is looking glum, get colouring in for some fun! Can you find all the monstrous words in this puzzle? 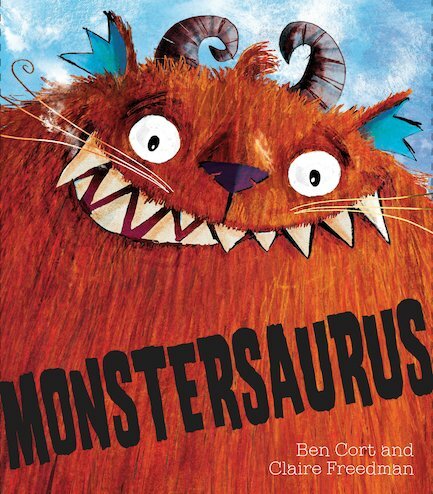 My favourite bit was the giant picture of Monstersaurus that spread TWO pages! I like all of the crazy drawings of different inventions because they are really detailed and colourful. I rate this book 10/10 I thought the monsters were brilliant.